Pioneers in the industry, we offer rotary drum dryers, rotary dryers and drum dryers from India. From a previous couple of years, we’re committed to offering our customers the finest quality of Rotary Drum Dryers. It helps to reduce the moisture content of the raw material. In this drum dryer material flow with the gravity feed and mix with the hot air, which helps to dry out the moisture in a matter of seconds. 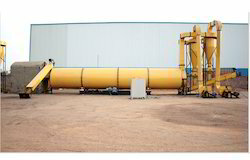 We offer Rotary Dryers to our clients. Rotary Dryer is designed to dry the wet content of different Raw Materials which contain moisture up to 50% or more than that. The dryer is in the shape of a large rotating cylindrical tube. Furthermore, the discharge end is lower than the material feed end in order to convey the material through the dryer under gravity. Moreover, it’s Vernacular names are rotary kiln, tube dryer, pipe dryer, drum dryer, sawdust dryer, spin dryer and so on. 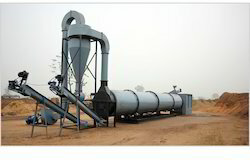 Rotary Drum Dryers is some kind of machine which works in two ways simultaneously i.e drying and cooling the material and saving a lot of energy up to 40% LAF rotary drum dryer is equipped with special parts such as Main body, Screw Type conveyor, cyclone air lock and fan which has a capacity to reduce the moisture more than 50%. Drum Dryer is a slow speed rotating drum, a part of the drum is submerged in an attached trough contains wet feed. Heat is applied to the inside of the rotating drum through drum hollow shaft and through rotary joint and the wet feed clings to the outside of the drum.